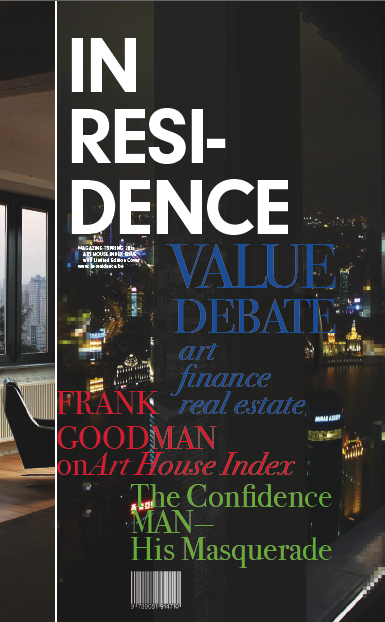 Jubilee is proud to announce the presentation of In-Residence Magazine #02, an artist publication by Vermeir & Heiremans in the form of a lifestyle magazine, which offers background information on the concept of “value” in the worlds of finance and contemporary art. The magazine is published in the framework of the production of their new video work Masquerade. Next to their own research, the magazine will offer interviews and articles by guest writers, a.o. Andrea Phillips, Susanne Neubauer, Akseli Virtanen, Fabian Bocart. Kuba Szreder, Frank Goodman. On the occasion of the presentation at WIELS’ bookshop Prof. Dr. Andrea Phillips (Goldsmiths, London) will talk about “Art & Value”, addressing the question if and how contemporary art and the world of finance are mirroring worlds, and if this is expressive of the way contemporary art value is created today.